Will it serve alcoholic drinks the concept art they showed didn't say that they did. Well since Alcohol makes bank, Yes. I liked Fowl Ball personally. For the season dining passes, dinner and snacks have been extended to 8:30 p.m. this year. Thank god. You have no idea how many times I went right at 7:30, and just missed the deadline. Re-Check 9 wrote: For the season dining passes, dinner and snacks have been extended to 8:30 p.m. this year. Awesome. Those funnel cake lines can be quite long. Where'd you find that out? I can confirm that the hours have been extended at SFGAm. But one note I found interesting was that different locations had different hours at SFStL. Really glad about the extra hour. Also hoping Fried Pickles are added this year. 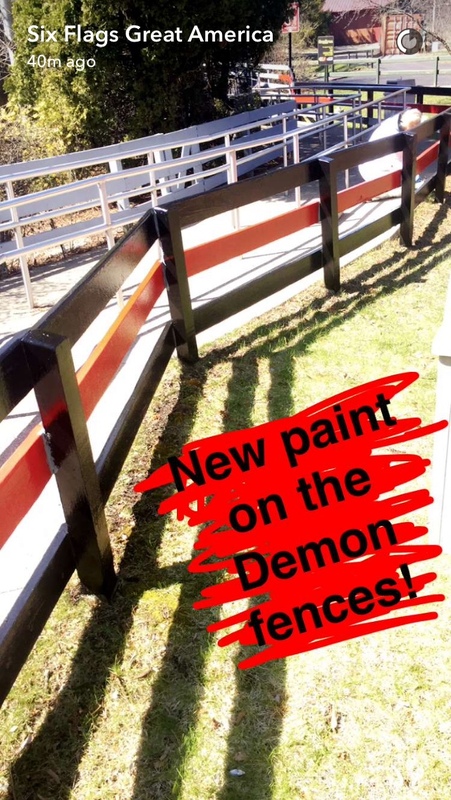 I don't play games at the park, but it's nice to see Demon with some new queue paint. Last edited by hoju74 on April 12th, 2016, 3:35 pm, edited 1 time in total. Just goes to prove Demon WILL NOT be moving anytime soon. That paint screams 1980, and I like it. Guy_With_A_Stick wrote: That paint screams 1980, and I like it. TOTALLY agree. 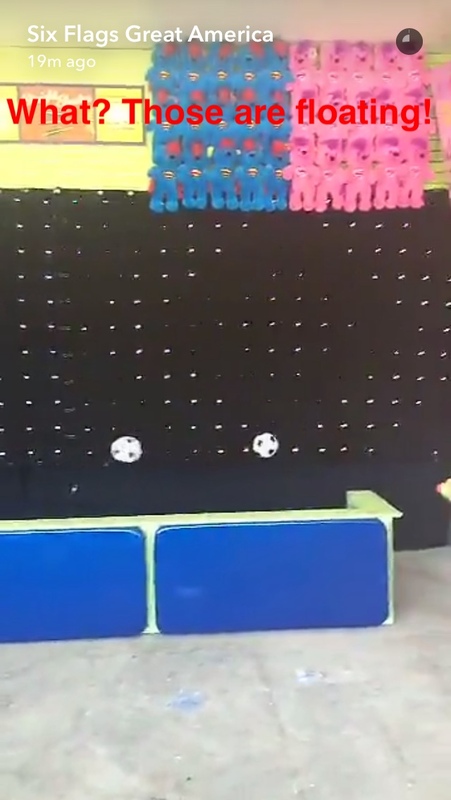 Looks really cool! I sure wish they'd have the waterfall on! Bonus points if the water is red. ^ yes, the waterfall would be great! The queue looks nice as well. Encouraging to see minor detail work being done for Demon. I hope it's not just work being done ahead of a VR "upgrade", or (much worse) vest restraints like SFOG's Ninja. I don't think vest upgrades would hurt. It would gain riders, as many people don't ride simply because of the restraints. The queue reminds me of Kings Island, and more specifically Bat/Vortex. JaminOut wrote: Just goes to prove Demon WILL NOT be moving anytime soon. Exactly! I remember back in 2000 when people were posting on various theme park forums, that Whizzer and Demon only had a few years left in them, they were falling apart, spare parts were too expensive, blah blah blah..... here we are in 2016 and both coasters are still standing and operating, lol. 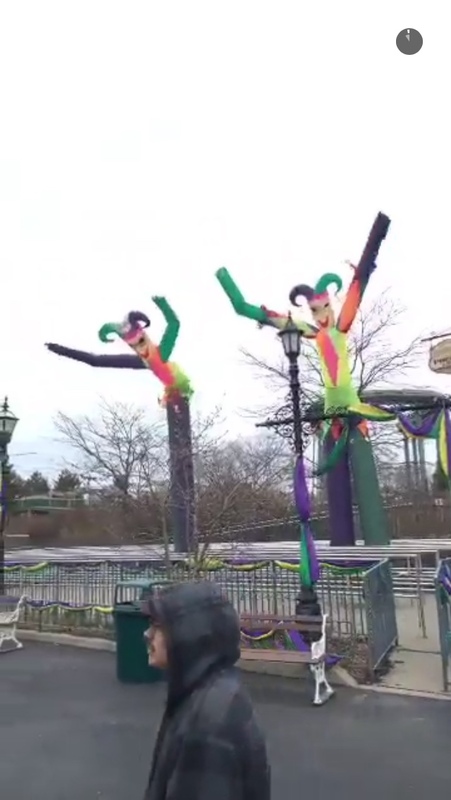 If they were really that costly and expensive, we would have seen them both removed during the massive financial troubles Six Flags was having right before it went bankrupt. The fact that both coasters survived through that ordeal, tells me, they aren't going anywhere anytime soon! CoasterCale wrote: I don't think vest upgrades would hurt. It would gain riders, as many people don't ride simply because of the restraints. The queue reminds me of Kings Island, and more specifically Bat/Vortex. Vests would effectively eliminate the abrupt ejection halfway down the first drop that feels like the world is yanked out from under you (towards the end of the train, but especially in the last row). It's probably the single most surprising moment on a coaster at this park. 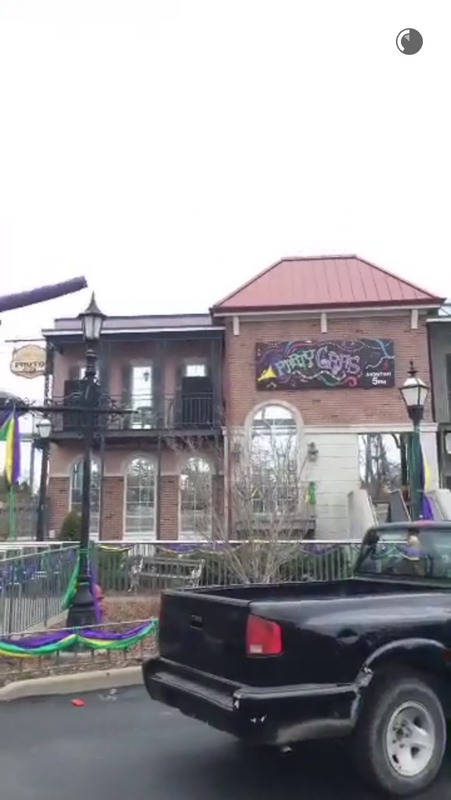 What type of event will Party Gras be? JaminOut wrote: What type of event will Party Gras be? But then why would they use RC queue and have a certain time. Well considering there's 2 giant balloons, I doubt they'll use it. In true Six Flags fashion, they'd leave it be.